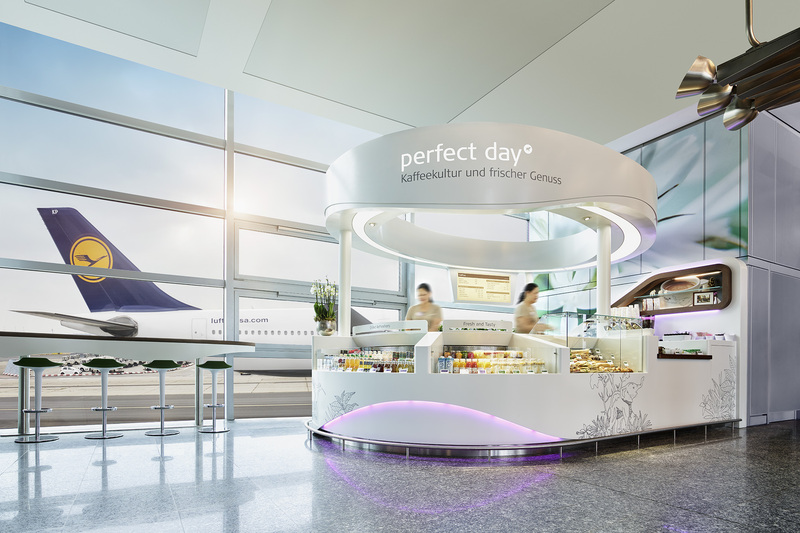 SSP, a leading operator of food and beverage outlets in travel locations worldwide, is building on the success of its perfect day coffee franchise at Frankfurt Airport with the launch of its new perfect day micro shop. Located airside in Hall A, Terminal 1 at Departure Gate 34 and providing excellent views onto the runway, perfect day micro offers customers a wide range of food and beverages. It will serve passengers from 5:30am to 10pm to coincide with the opening hours of the flagship perfect day outlet located in Hall A at Departure Gate 14. While coffee is the hero product of perfect day, the brand also serves an outstanding range of food. The menu includes fine bakery products, fresh drinks, yogurt, salads, paninis and sandwiches, with all dishes freshly prepared for the two branches at Frankfurt Airport. Living up to its claim to offer “Coffee culture and fresh delight”, perfect day has won numerous national and international awards for its high-quality coffee, sustainability and design. Its cooperation with SSP as a franchise partner began in 2008, and the brand is now a firmly established feature within Frankfurt Airport’s gastronomic scene.